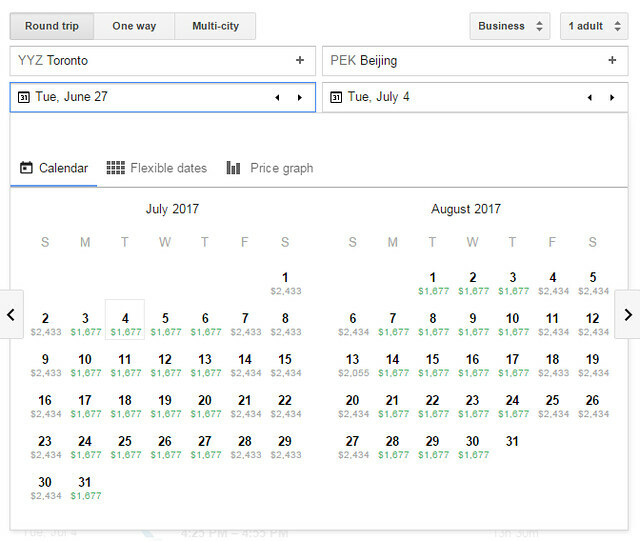 Hey guys, quick deal alert, but for those of you based in Toronto (or are a short flight away in NYC/BOS), American Airlines has AMAZINGLY cheap fares to Beijing and Shanghai (one stop through Chicago or Dallas) in business class and there’s tons of availability from now all the way until next August (including the super expensive summer season). Early and late summer are the best times to visit Beijing and Shanghai as the weather is ideal and hopefully you can avoid the brunt of summer crowds. Sarah and I actually visited China last year during late August and had a really great time (the smog even cleared up!). 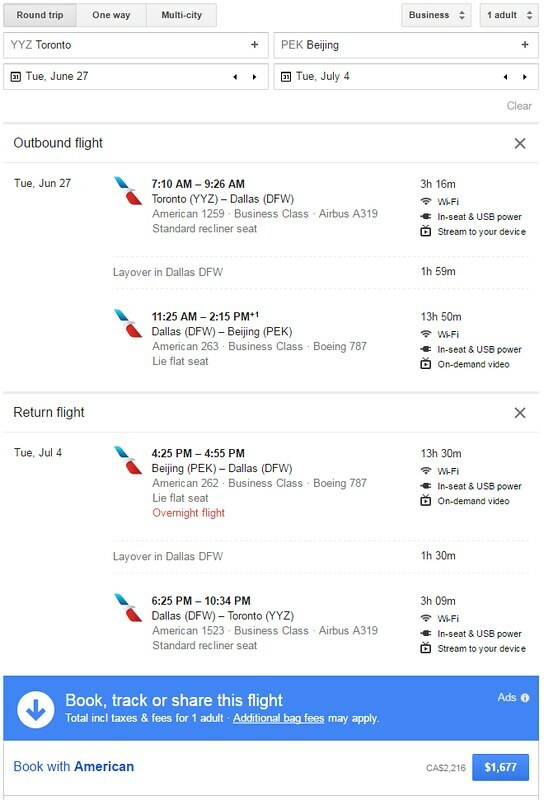 A sample itinerary over the July 4th weekend that connects through Dallas (and thus on AA’s brand new 787 Dreamliners) here. Wide open availability even in the expensive summer months! Hope you Toronto (or NYC) based flyers can take advantage!